I was 26 when I discovered my passion for travel. It took me a while to realize that I was in love with the world. But when I found what I love, life was never the same. Before I turned 26, I never traveled. I stayed at a job I fairly liked because of the security. I hardly went out of the country except for work and never even dreamed I could live outside of the Philippines. Every day was so mundane and ordinary that I didn't even care to know what day it was. Life felt like a vicious, repetitive cycle. As soon as I realized that travel was my #1 passion, I became clear about the life I wanted. I wanted to travel and be constantly on the move. To live a life of constant growth and transition. I wanted every day to be a beautiful surprise. I started to live life more openly, paying attention to the small miracles that occurred on a daily basis. I realized that passion doesn't start to show up in your life until you know what it is. It sounds pretty common sense, doesn't it? But a lot of people miss the point because they either don't know what their passions are, or they too preoccupied chasing after everything that they think they're passionate about until their energy wears out. But how do you know what your passions are? Here are 3 simple steps to figure out what you're passionate about. Think back to when you were a kid. What did you want to be when you grow up? Did you have any personal heroes? Who were they and what did you admire them for? I remember that as a child, I had always admired an uncle of mine who is an esteemed lawyer and former government official. And so I thought I wanted to be a lawyer, even going as far as taking up a pre-law bachelor's degree. In retrospect, I admired my uncle for his jet setting lifestyle and influence. He had traveled the world because of his intelligence and his power of speech. What do you constantly talk about? Even before I traveled, I had always wondered about travel. Even during business interviews, I would ask interviewers who were usually well-traveled business executives (often expats) about where they've been, what they've seen and how they see the world. Now that I have traveled a bit, people close to me know I talk about travel 24/7. And when I'm not talking about travel, I talk about passion! I've seen this transformation in myself in the last few years. If you've seen me teach a financial services class, you would see I loved what I did. I was confident, assertive and focused. But if you saw me give a talk about travel, you would see that transformation. My eyes lit up, my gestures would get so animated, a playful smile would be on my lips! Now if these 3 questions didn't do it for you and you are nowhere near finding your passion, then you should join us for Passion Play from June 30-July 1 at the Circle Hostel in Liwa-Liwa Zambales. We are having a 2-day retreat designed for you tap into your inner child to find your passions. The Passion Play is a 2-day retreat designed for you tap into your inner child to find your passions. The workshop will be fun and interactive and we will have surf lessons, yoga classes, painting and other activities to get us back to child-like state. Join us for a weekend of Passion, Discovery and Play! In joining this retreat, you will get more clarity on the things you love and the things that are most important to you. You will be surrounded with people who are in a state of joyful discovery themselves. And the setting? 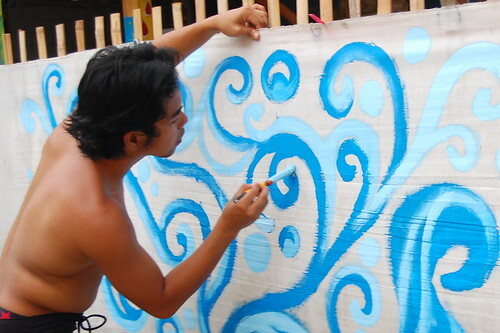 An artsy, laid back hostel that's walking distance to a beautiful yet powerful beach break. We are all defined by the things we love. And the more we are clear on our passions, the more joyful our lives become. Have you noticed that passionate people are like magnets? We are quickly drawn to their positive energy, their excitement for life and their smile! Do you want to be a magnet too? Do you want to live a life that's focused on the things that inspire you and make you happy? "Lois helped me organize my life in under 3 hours, and her process has helped me (and all of us) identify what truly matters most to each one of us." "Through the Passion Test, I’ve found that what I thought I wanted the most in life wasn’t what I needed to start living my ideal life today. I’ve found that I spent a lot of time on things that I wasn’t really passionate about." This event is in partnership with The Circle Hostel and Offbeat Pursuits. If you think the Passion Play retreat is for you, then join us on the facebook event, email pinoypassionista@gmail.com or contact us via 09475400629 to get more details. 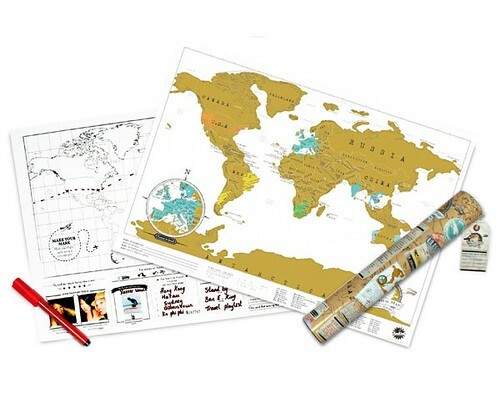 And I want to share my passion for you by giving away a Travel Edition Scratch Map. It's a map that you can take it with you as you journey round the globe and scratch off where you've been on route - all you do is scratch off the gold top foil layer of the place you have visited to reveal a brand new and wonderful world underneath. The Scratch Map is only available in the Philippines at Quirks Novelties and Curiosities! Click here to join this giveaway! This promo only runs until June 22! this sounds fun! 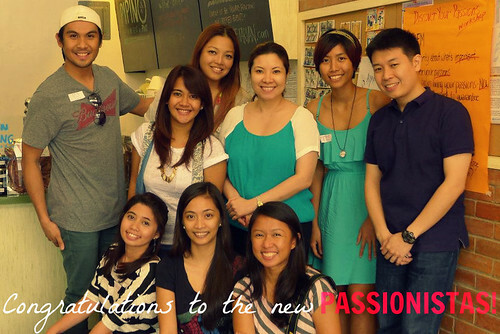 I love that there's a Pinoy Passionistas group.. When I was a kid, I guess I always dreamed of writing my own book. I dreamed of being an author! It's a surprising confession to sit with... I had/have a very creative/artistic side and I always wanted to be an artist, author and teacher. I would love to journey my way towards all three paths! I remember debating to myself when I was a kid if I'd be a children's book author, or adult! I think I figured that I could do both.. because I would LOVE to write and illustrate a children's book! But right now I feel called to do a memoir.. I'm still in the freakout "I'm not a writer" mode which is just silly and I need to get over it.. I *definitely* need to follow through with this passion!! I remember when I was a kid, illustrating and writing my own books.. I even sewed a book together! All by myself, not for any school projects. :) I think we have amazing clarity when we're kids.. But we often give up our dreams because of all the UNlearning from school! Janet I appreciate this comment so much! I am so glad to find other women who are living their passions as well! It helps that you also have the skills to complement your passions! I admire your work so much. I wish to collaborate with you in the future. Thanks for sharing this post! I hope you can join us another time! Keep on following your passions Lamyerda!